Affiliate marketing has been chosen as one of the top two revenue generators for publishers. To read more about why you should use Pinterest for sharing your shoppable related stories and experiences make sure to read our post on How to Monetize on Pinterest, With or Without a Blog. Create multiple pinnable graphics. One of the advantages of Pinterest is that you can create multiple images with different languages and different descriptions to help you check what works best in terms of visuals as well as text. Posting a variety of graphics will keep your links fresh and pinnable. 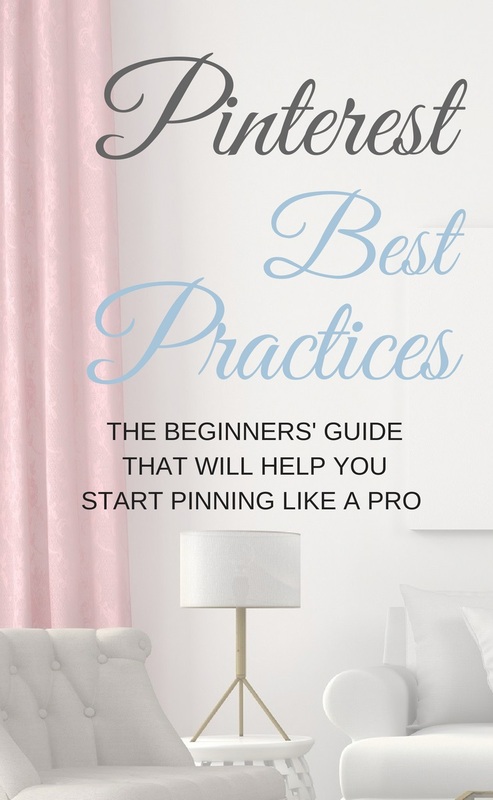 Well designed pins are key to increasing your exposure on Pinterest, and the greater your reach, the higher the chances that someone will buy one of your recommended items. Therefore, you want to make sure that your pin dimensions work well on Pinterest. Pinterest guidelines recommend a ratio of 2:3 (say 600X900px). We found that images with the dimensions of around 740 X 1200px work well, without having the image cut on the Pinterest feed. In any case, even with a longer image, pinners will still see the full graphic when they click on it. Consistency on Pinterest is key! Better to save a few pins daily rather than many pins once every few days. This will help you maintain a steady flow for maximum engagement. You can utilize a scheduling tool like Tailwind to help you manage your pinning routine. Don’t delete any of your old boards or pins since existing information and past engagement help Pinterest better understand your content. Rather than deleting, keep saving to those boards to maximize their influence. It’s more beneficial to continue using a single board with a longer history than creating several new boards with shorter histories. If you still prefer not to use a certain board, you can always turn it into a secret board. 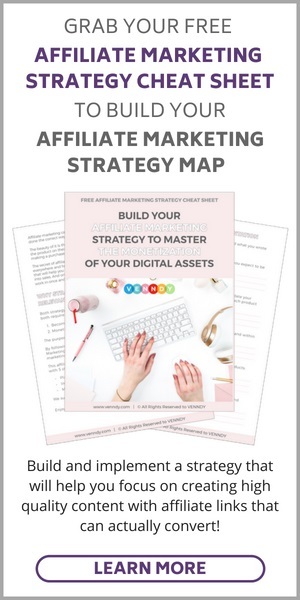 There are two ways that you can use Pinterest to generate affiliate links: either create graphics for your affiliate links directly or create graphics that lead to your blog post or to your VENNDY story where you talk about your recommended affiliate products. Make sure to check out the four ways to utilize VENNDY's tools on Pinterest on our post How to Monetize on Pinterest, With or Without a Blog. Make sure to follow up on our coming posts about How To Make Affiliate Marketing Work and Succeed as an Affiliate in Any Niche. Using VENNDY's tools you can use your content to monetize on Pinterest. With VENNDY's LinkCollector you curate your recommendation once, add your affiliate link and then share it across all social platforms (Pinterest, Instagram, Facebook, Twitter and more). Make sure to read THIS post to learn how to use VENNDY to help your Instagram followers shop for all your recommended items. When using affiliate links on Pinterest, VENNDY’s tools allow you to collate more than one product and share a whole experience, very much like in a blog post, only easier and with greater focus on items and products. Both alternatives strengthen trustworthiness and help others make better purchase decisions based on their needs. Sign up to VENNDY, and download the VENNDY LinkCollector, Chrome extension. Using the extension is free for a limited number of users; so once you've signed up, please send us an email with a link to your blog or social media account and we shall send you a link for downloading the extension. We welcome beginners too. As long as you are an affiliate of any program VENNDY may be a good fit for you. Email: Info at venndy dot com. Upload your recommended products and places, add your affiliate links and share them on your favorite digital platforms. 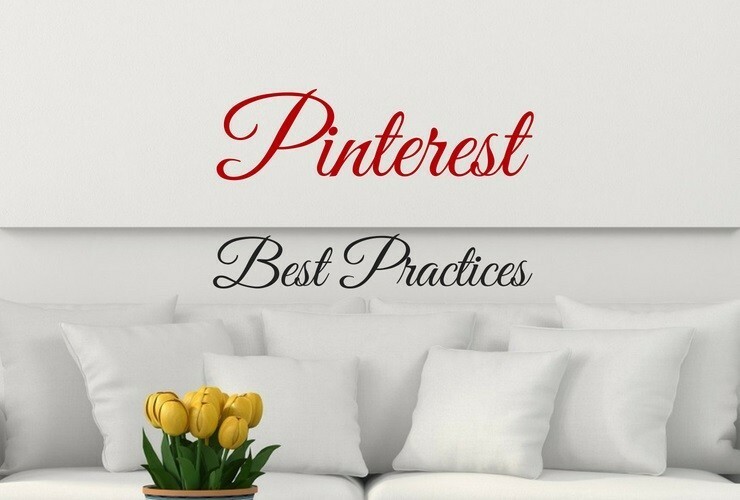 This post is all about Pinterest, but you can share also on Instagram, YouTube, and more. You can SIGN UP to VENNDY here aand click GET STARTED.